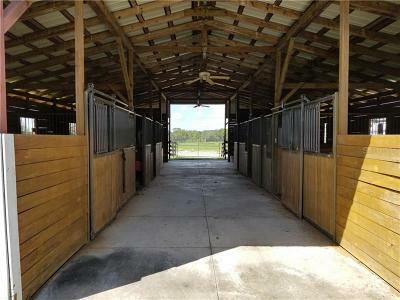 Horse lovers, check this one out! 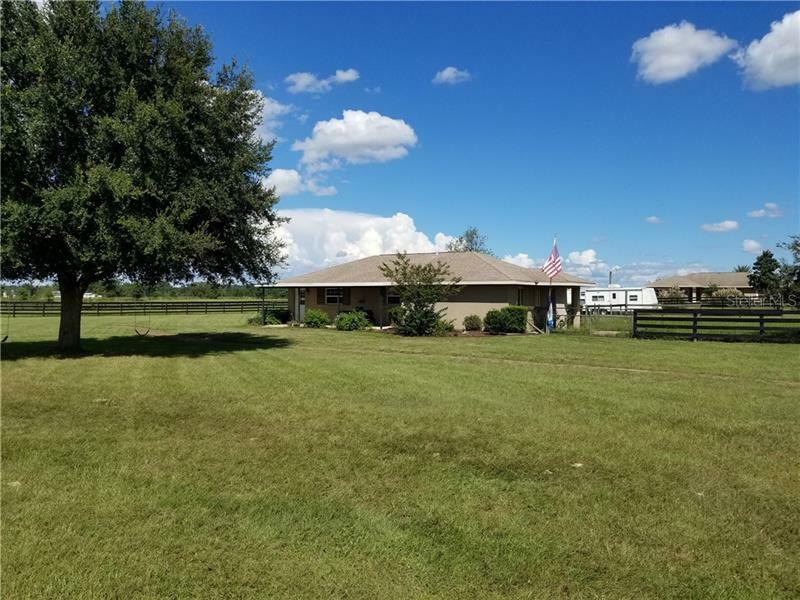 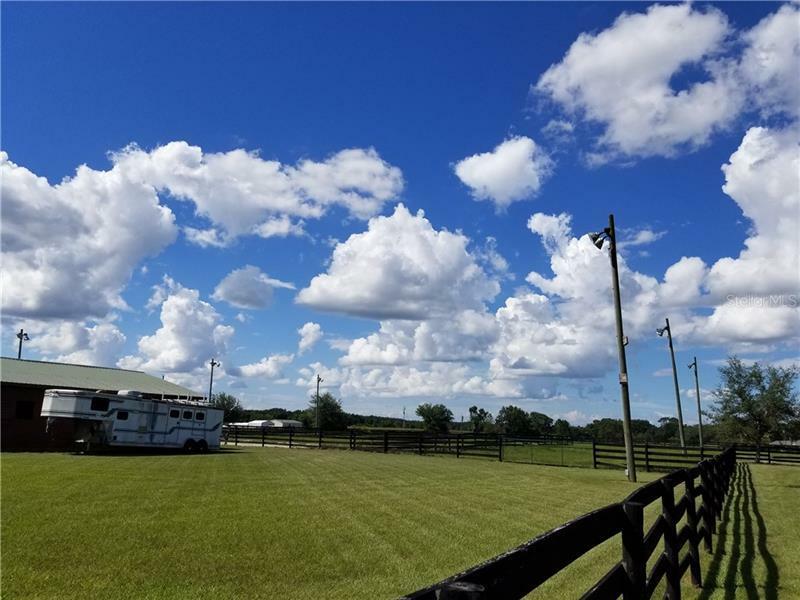 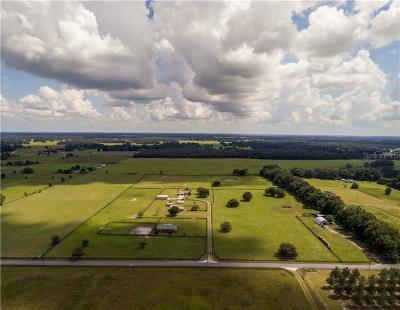 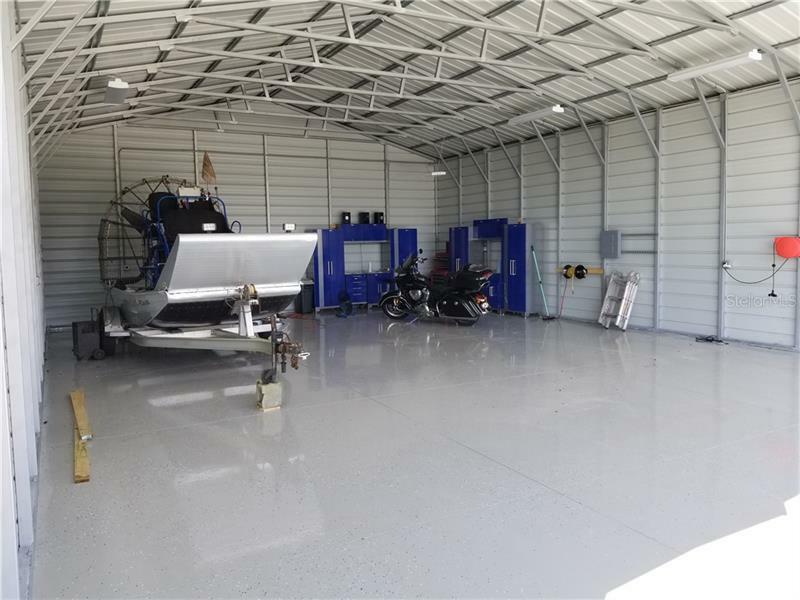 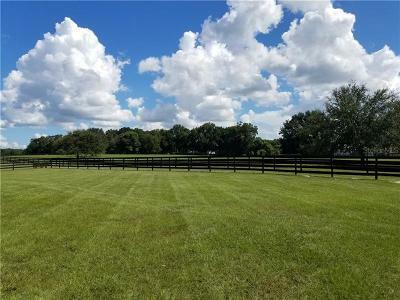 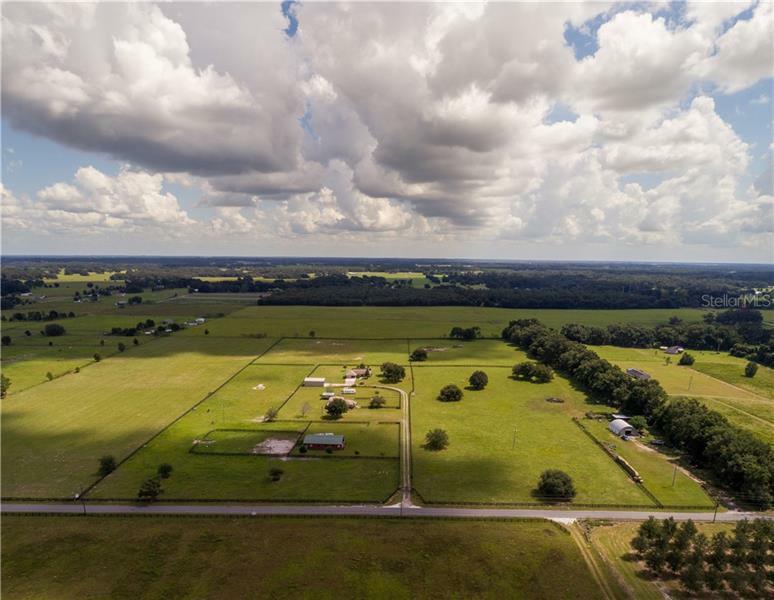 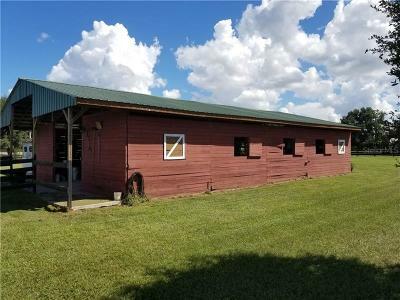 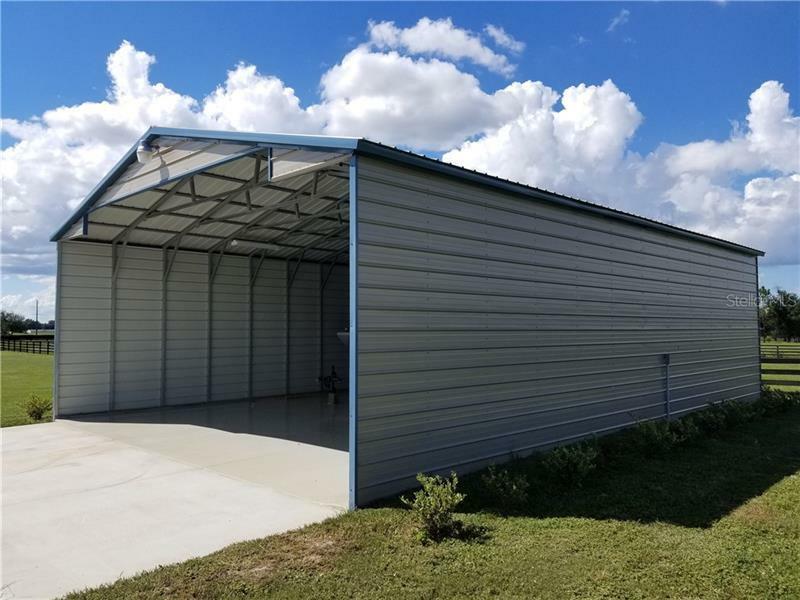 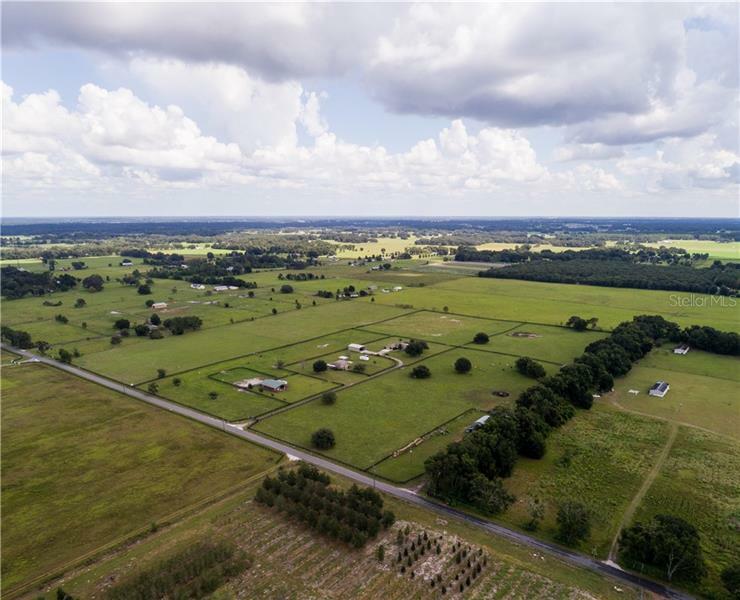 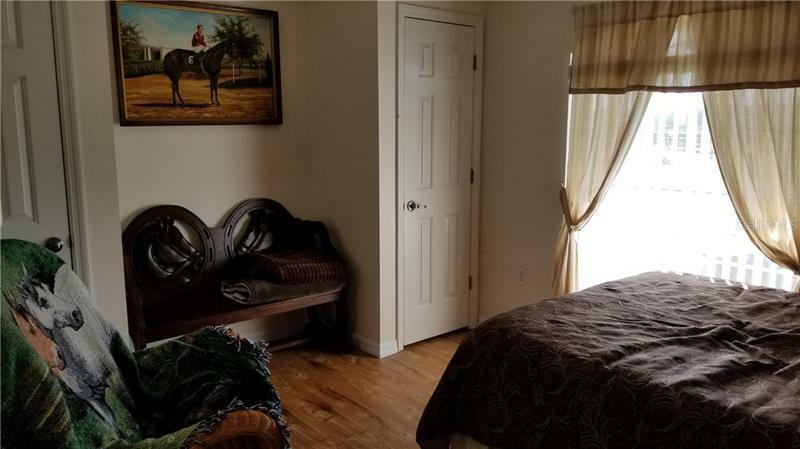 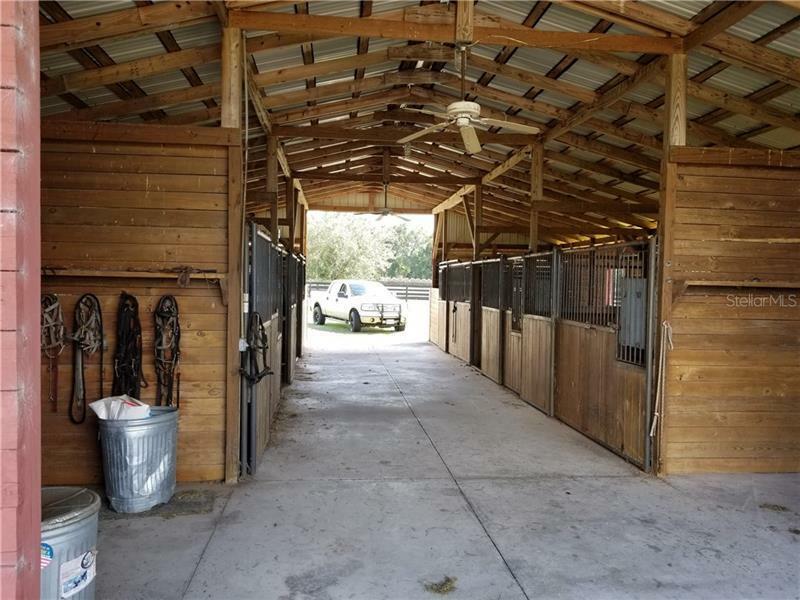 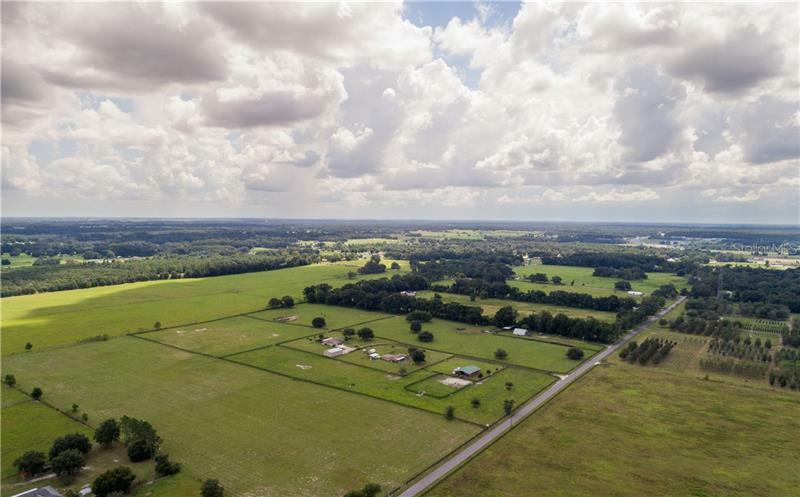 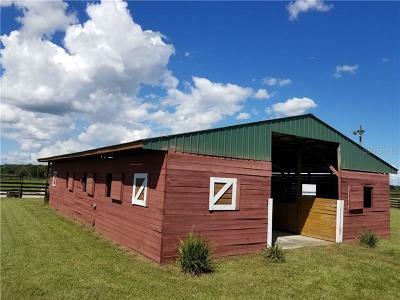 25 acres west of Oxford - 4-board fenced with electric gate - offers Two Homes, Barn with (4) 12x12 stalls, (2) 12x18 stalls, tack & storage, six sets or arena lights, free-standing 47x24 garage at RV height, concrete-floored 40x24 Quonset hut (workshop), and a pole barn. 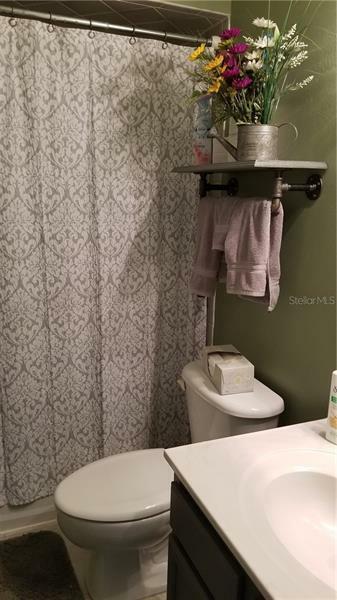 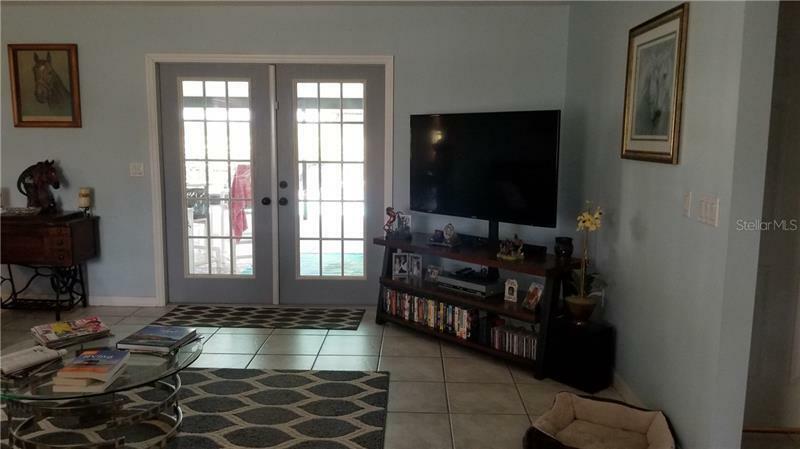 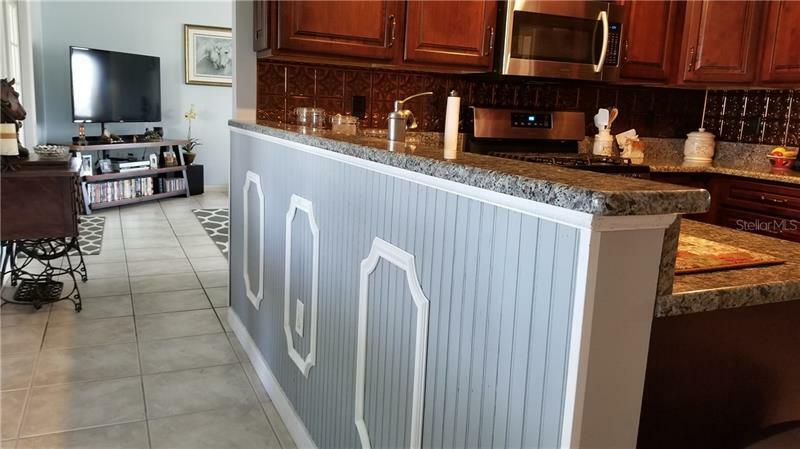 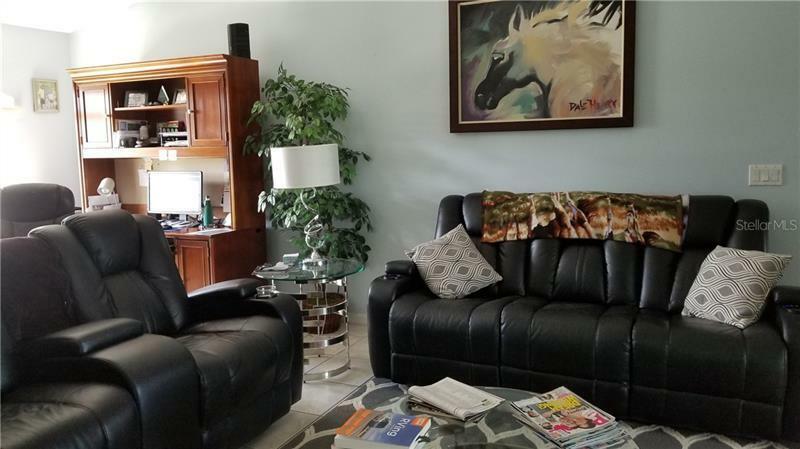 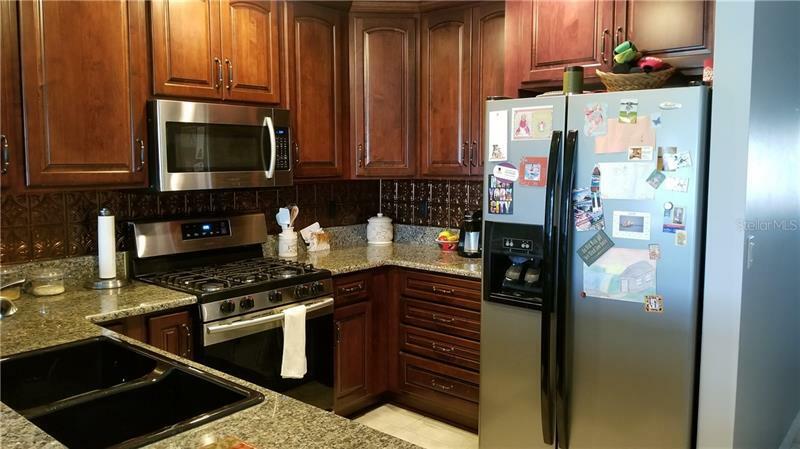 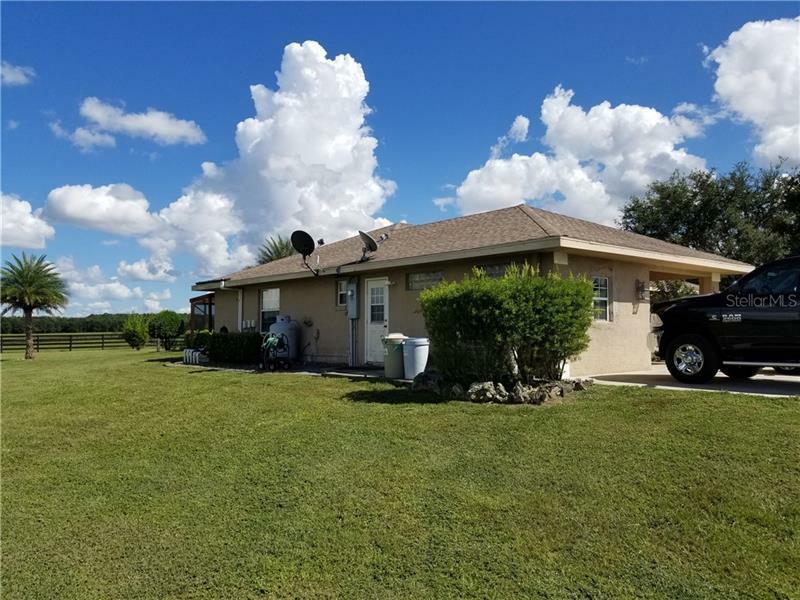 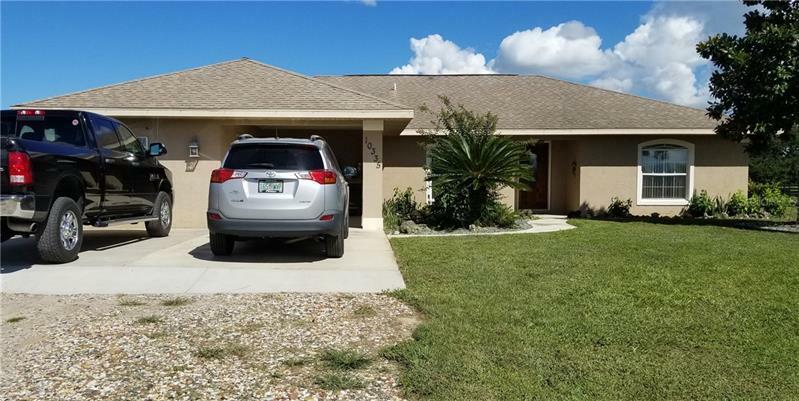 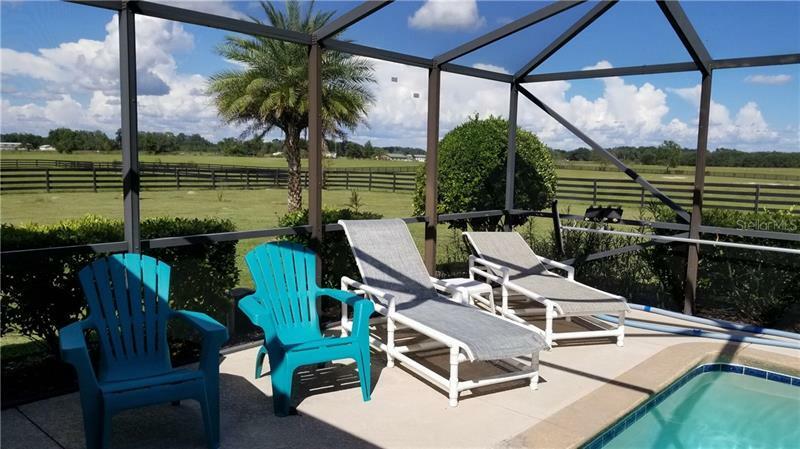 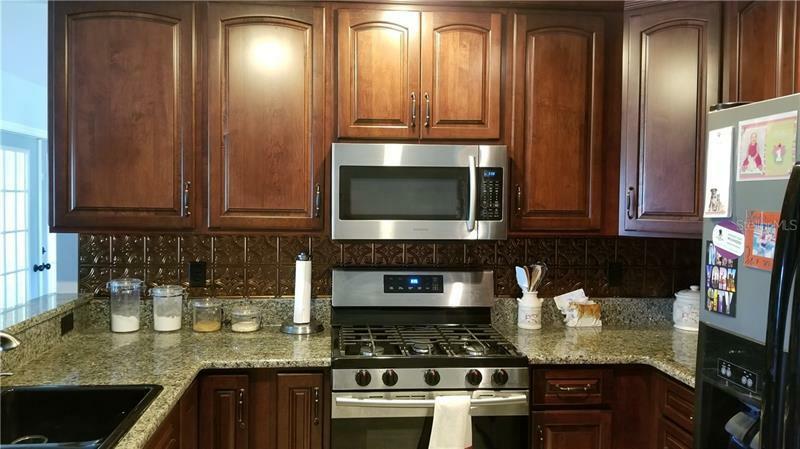 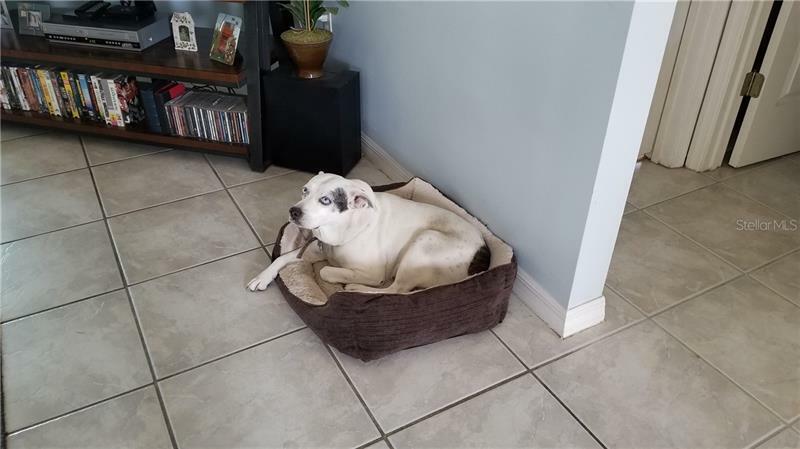 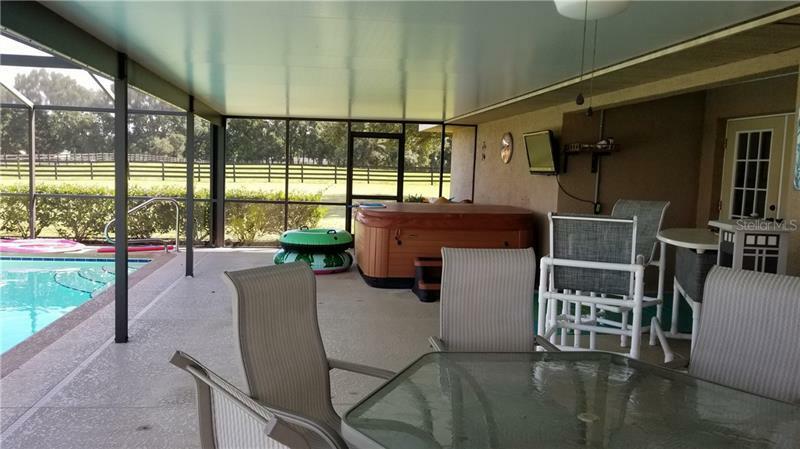 The handsome 3/2 main home has a recently upgraded kitchen with wood cabinetry and stone countertops, split plan, central Great room with French doors leading to the pool area, inside laundry and a one-car carport. 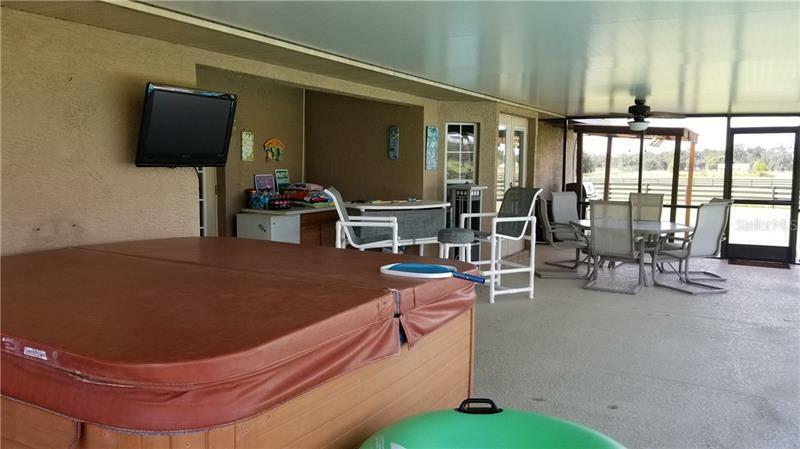 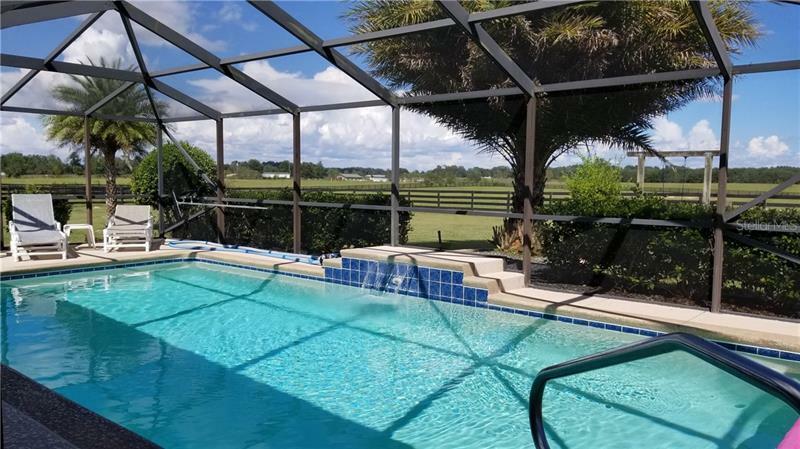 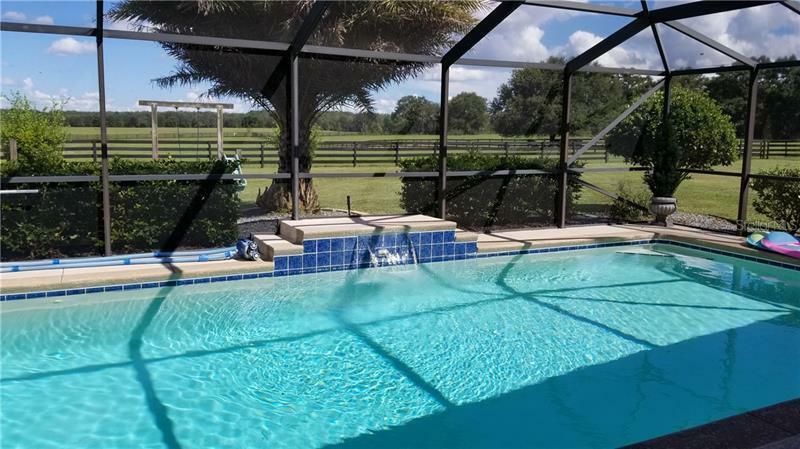 The enclosed pool features a fountain and generous entertainment area! 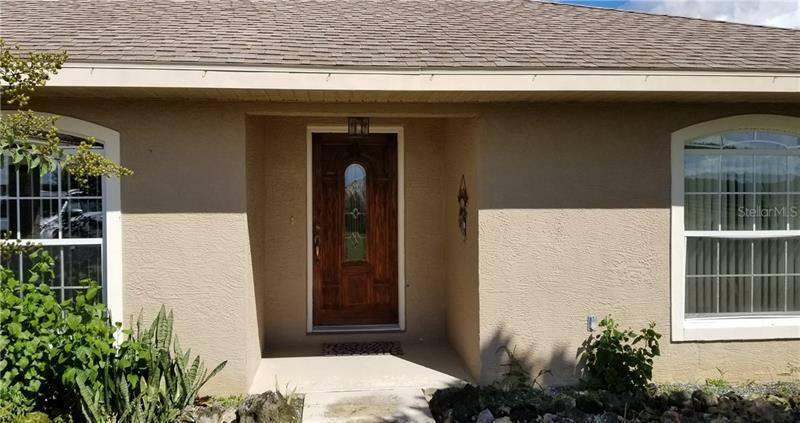 The second home is a nice 3/2 block/stucco home with fenced backyard. 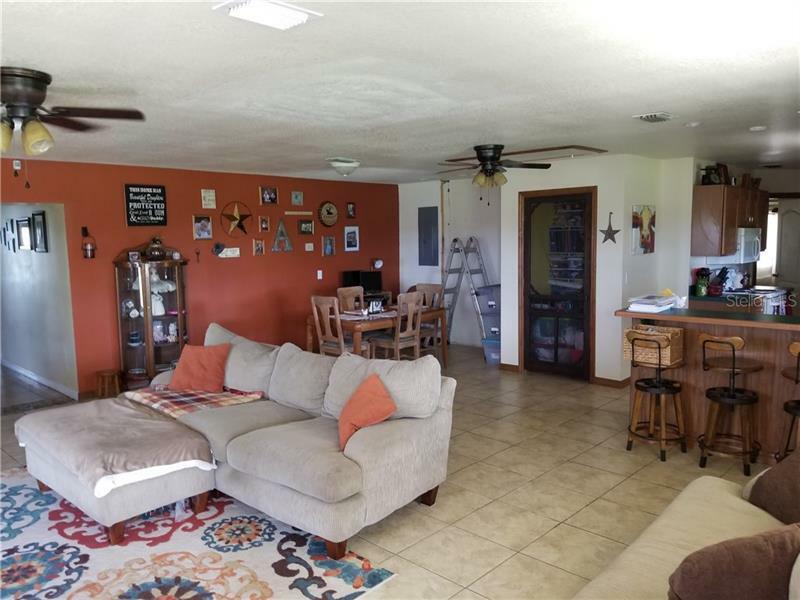 The main home has 1916 total sf, 2nd home 1800 sf. 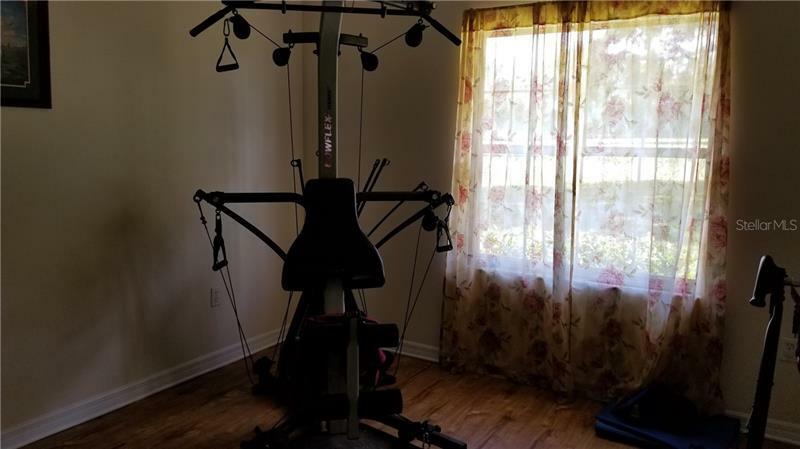 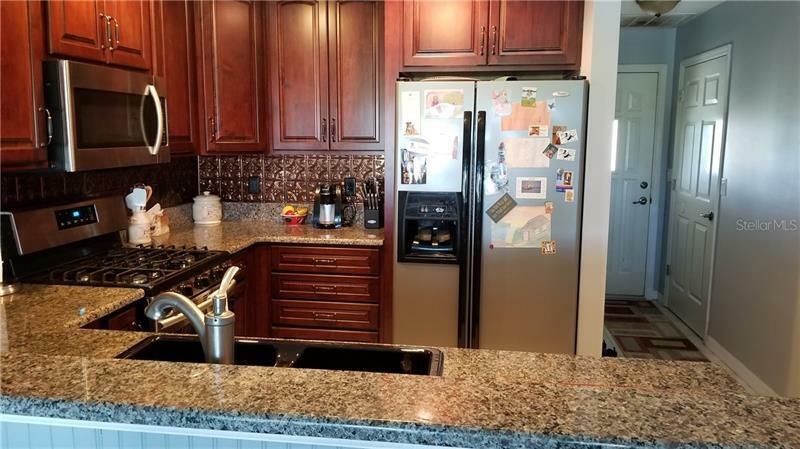 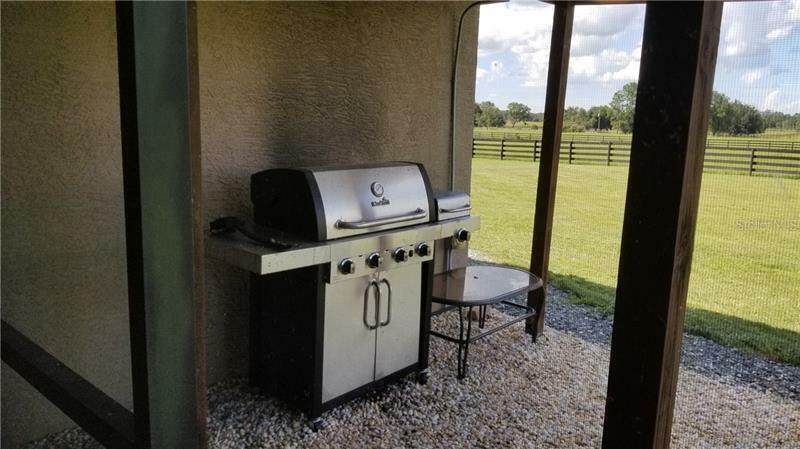 This well-equipped and well-kept property is turn-key ready; don't miss it! 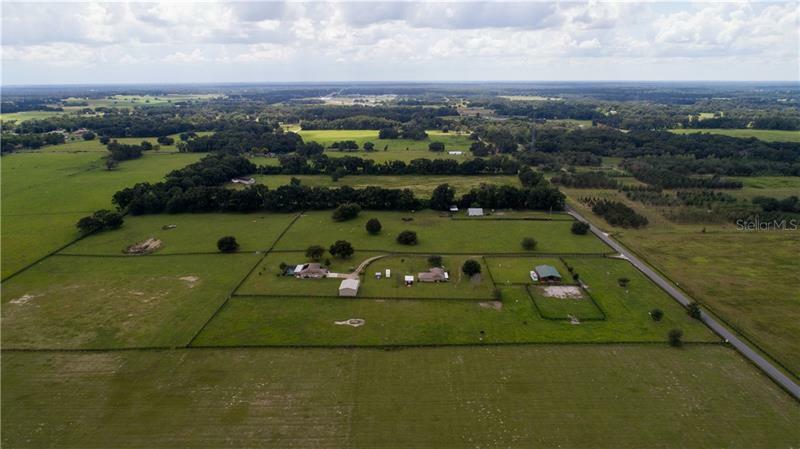 (An additional 15-acre parcel is available).